Auctions for charities is nothing new in the auto industry; it’s happened in the past and it will continue to happen. 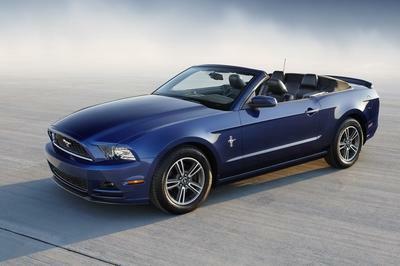 One car that has been auctioned off numerous times for charity purposes is the Ford Mustang. 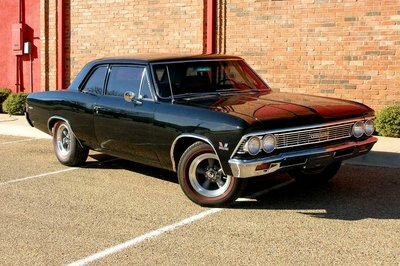 For good reason, too, since the iconic muscle car remains one of the most popular vehicles in the market. 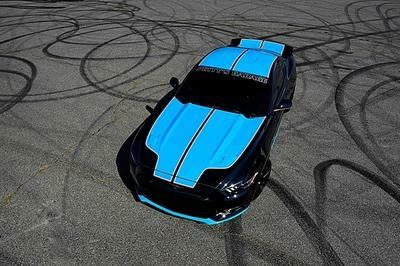 Examples abound of this happening in the past few years, including the first production 2015 Ford Mustang, which was auctioned off in January 2014 for the benefit of the Juvenile Diabetes Research Foundation. Another example is the Experimental Aircraft Association’s “Gathering of Eagles” event, which auctions off a special-edition Mustang every year with proceeds going to the organization’s Young Eagles program. As special-edition Mustangs go, the Petty’s Garage Mustang GT ranks right up there as one of the best. It has an attractive two-tone exterior finish, a dressed-up interior, and an impressive engine upgrade. In other words, that’s the aftermarket trifecta right there. 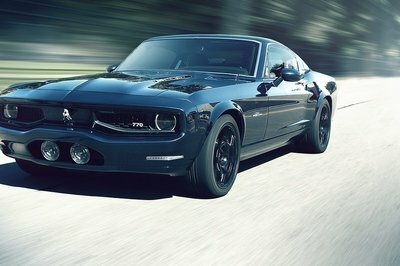 Based on the work put in by Petty’s Garage, I expect this one-off Mustang GT to attract a lot of bids. The fact that proceeds of the auction will go to a worthy charitable organization is even more reason for interested bidders to go high with their bids. Updated 09/23/2015: Petty’s Garage Mustang GT raised a total of $535,000 for Paralyzed Veterans of America (PVA) non-profit organization. The car was originally sold for $330,000, then donated back and sold for an additional $205,000. 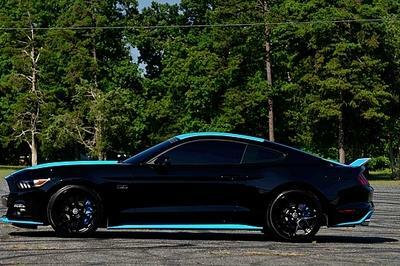 Continue reading to learn more about the Ford Mustang GT Petty’s Garage Edition. Petty’s Garage didn’t make any sweeping changes to modify the look and aesthetic appeal of the Ford Mustang GT. The color choice of the one-off Mustang does look familiar, doesn’t it? 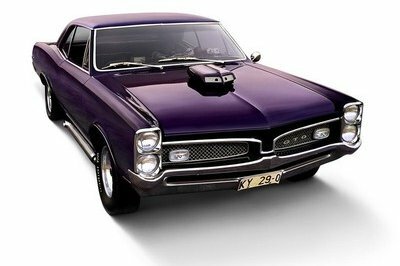 Everything’s there for the most part, including a trunk lid spoiler, a set of three-piece forged aluminum wheels wrapped in Continental performance tires, and the two-tone custom paint job with a dose of “Petty Blue” on the hood, skirts, and roof of the car. The color choice does look familiar, doesn’t it? That’s because Petty’s Garage has used it before on a Ford Mustang, albeit in reverse. 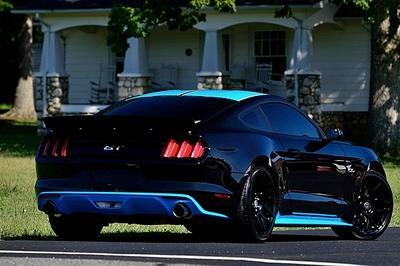 Take a little trip back to the custom 2015 Ford Mustang Richard Petty’s crew built for the 2014 SEMA show and you’ll see that this particular color treatment is the inverse of that one: the patented Petty Blue finish was used on the car’s body with splashes of black thrown in for good measure. It’s no coincidence that Petty’s Garage again used these two colors. Blue is The King’s color. Regardless, the colors complement each other, and more importantly, they look great on the Mustang. 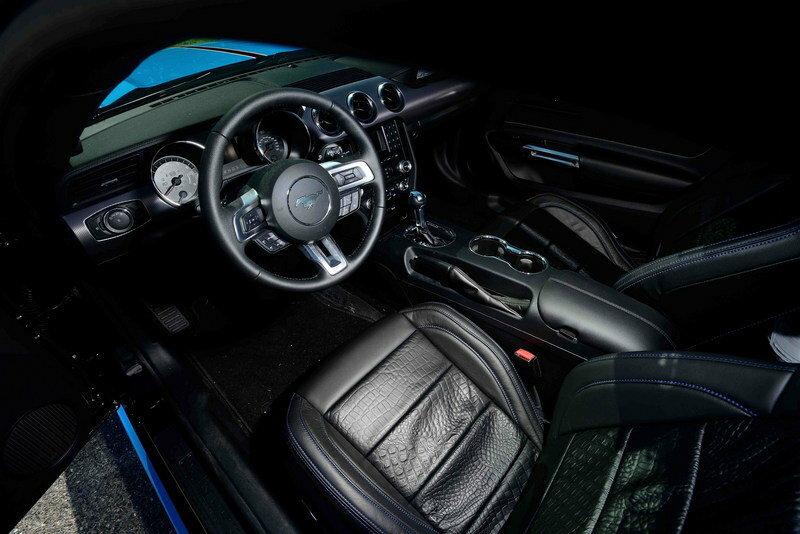 Inside, the only notable update to the Mustang GT is the custom “Gator-skin” leather interior from Katzkin. The same Petty Blue color also makes a little cameo in the cabin, specifically the contrast stitching on the leather seats and certain trimmings on the door. But other than that, there’s really not a whole lot going on here. Logos from Petty’s Garage and PVA do add some character to the cabin, but overall, those gator-skin leather seats are the real custom highlights of the interior. 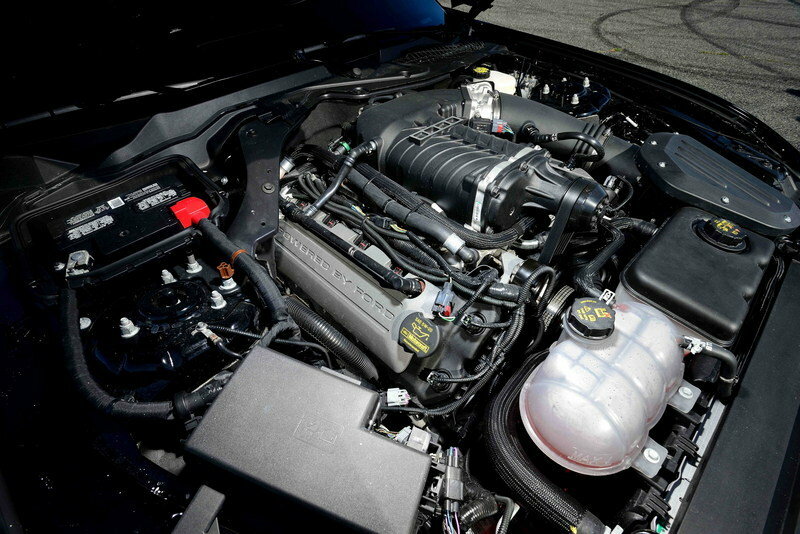 The one-off Mustang GT retains the 5.0-liter V-8 engine as its beating heart. But thanks to the addition of a Roush TVS 2300 supercharger with cold-air intake and a Magnaflow exhaust, Petty’s Garage was able to push the V-8’s output to north of 600 horsepower. Thanks to the addition of a Roush TVS 2300 supercharger with cold-air intake and a Magnaflow exhaust, Petty’s Garage was able to push the V-8’s output to north of 600 horsepower. 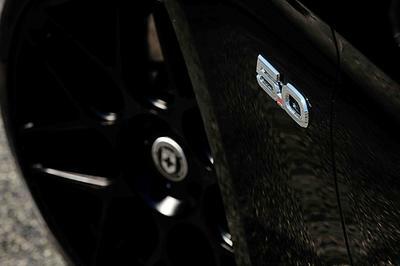 The exact figure hasn’t been announced, but I’d guess it’s somewhere around 627 horsepower, right around the same number the limited-edition SEMA Mustang had when fitted with the similar Stage 1 kit. Performance times weren’t mentioned either, but it’s reasonable to expect it to sprint from 0 to 60 mph in a little over three seconds with a top speed of about 180 mph. The price for this one-off Mustang GT is “to be determined,” because it’s all dependent on how much people are going to bid for it. Mecum Auctions doesn’t even have a reserve on it, so the price could really swing either way depending on the amount of interest it generates. Mecum Auctions doesn’t even have a reserve on it, so the price could really swing either way depending on the amount of interest it generates. I do think that bids for this particular Mustang GT will be well into the six figures if things break in its favor. A good example is the first production 2016 Ford Shelby GTR350R Mustang, which sold for an incredible $1 million at the Barrett-Jackson auction in Scottsdale, Arizona back in January 2015. Then in July 2015, another one-off Mustang, dubbed the Apollo Edition, sold for $230,000 at the AirVenture festival in Wisconsin. That’s a huge gap in the figures both Mustangs went for, so it’s going to be exciting to see how much the Petty’s Garage Mustang GT will go for at the Mecum auction. My best guess? Somewhere in the neighborhood of $300,000. I’m a big fan of any car that’s being auctioned off for charitable reasons. Richard Petty Motorsports and Ford are doing a great thing by having this one-off Mustang GT auctioned off for the benefit of Paralyzed Veterans of America. It certainly helps that the Mustang is about as unique as they come. It’s got a sick paint job, a spruced up leather interior, and a significant power upgrade that its new owner will definitely appreciate. 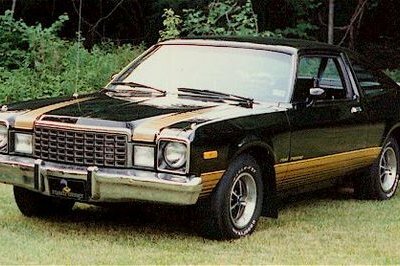 For obvious reasons, I hope the bidding for this car goes through the roof. I’d like to see it find an owner who will enjoy every last ounce of upgrade Petty’s Garage gave it. But more importantly, I want Paralyzed Veterans of America get as much as it can out of this auction. With its unmistakable Petty Blue paint job and the sleek design of the 2015 Ford Mustang, a Petty’s Garage-built, 2015 Ford Mustang GT (Lot S148.1) will roll onto Mecum Auction’s signature red carpet and cross the auction block to be claimed by one lucky winning bidder at the Mecum Dallas auction this Sept. 16-19. Donated by Richard Petty and Richard Petty Motorsports, the car will directly benefit the Paralyzed Veterans of America (PVA) with 100 percent of the proceeds from its sale serving the organization’s mission. Member of the NASCAR Hall of Fame and an American icon, “The King” Richard Petty, owner of Petty’s Garage and co-owner of Richard Petty Motorsports, will be at the Mecum auction on Sept. 19 at the Kay Bailey Hutchison Convention Center in Dallas to represent the car during its sale and support the PVA. Paralyzed Veterans of America, a congressionally chartered veterans service organization founded in 1946, has developed a unique expertise on a wide variety of issues involving the special needs of its members—veterans of the armed forces who have experienced spinal cord injury or dysfunction. Richard Petty Motorsport and Richard Petty have long been supporters of the efforts of the Paralyzed Veterans to support the nation’s veterans following catastrophic injury. The 1,000-plus collector car auction is open to buyers, sellers and spectators all four auction days, Sept. 16 through Sept. 19, with the Petty Mustang to be offered Saturday, Sept. 19. Bidder registration is $100 and includes admission for two for all auction days; general admission is available at the gate for $25 per person, per day with children 12 and younger admitted at no charge. To register to bid or for more information on the Petty’s Garage Mustang and the Mecum Dallas auction, visit Mecum.com or call (262) 275-5050.